With the number of dusk and dawn bat surveys we’ve undertaken this season approaching 200 between us, it is refreshing to survey dormice once in a while. It seems especially fitting as we have come to identify with the etymology of the word ‘dormouse’ which some sources reckon comes from the Old French ‘dormir‘ meaning ‘to sleep’. ‘To sleep’ is definitely something we aspire to! 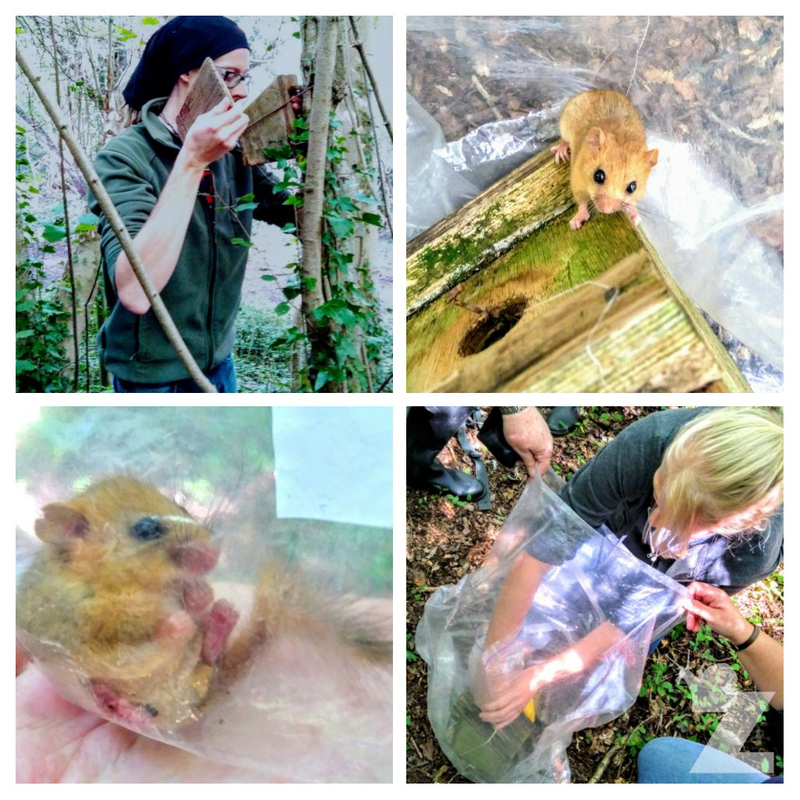 On these occasions, we have been venturing out into the midday sun to help with dormouse box checks in a few areas of North Somerset. During our surveys, we check man-made dormouse nest-boxes that are attached to trees sporadically throughout a given woodland. When an occupied box is discovered on a survey, the entry-hole is bunged, and the box is placed in a clear plastic bag. The bung and the lid of the box are then removed. The dormice are collected, sexed, weighed and scanned for a microchip. 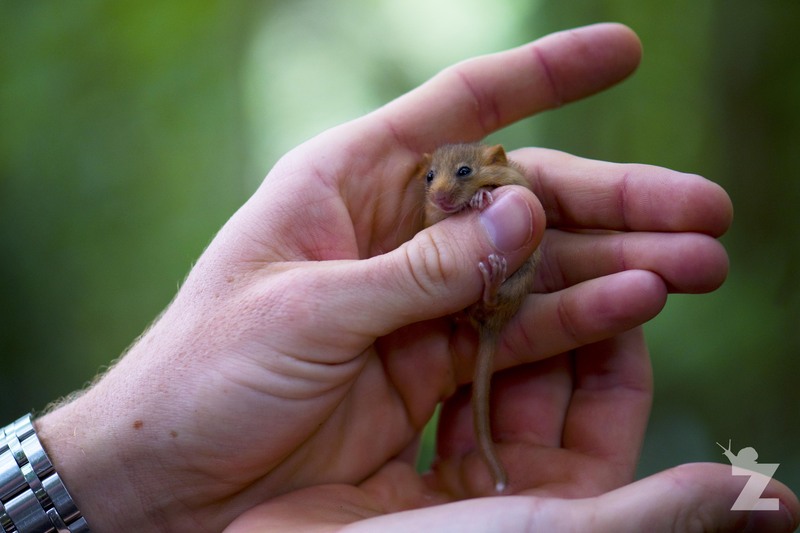 If a dormouse is large enough and hasn’t been microchipped, one may be inserted as this helps us understand the movements and life of an individual. 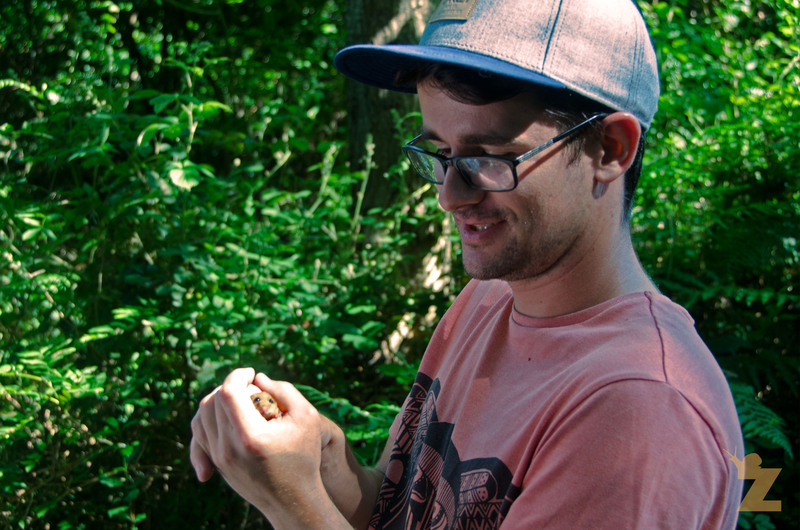 Finding dormice isn’t a sure thing on a survey. More often than not, there is a lot of investigating the signs of dormice. We look at the nests within the boxes, as well as the browse on the discarded nut shells. 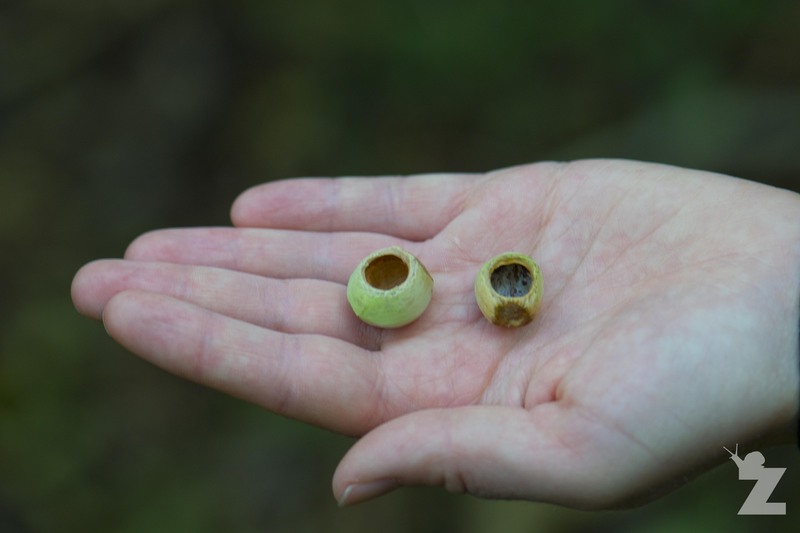 Dormouse nests are well structured with honeysuckle bark and other strips of foliage weaved into a ball with a central cavity, surrounded by a variety of leaves that make up the outer layer. The presence of fresh, green leaves is often a good sign of a dormouse nest. Nests of birds are usually made of twigs and moss, and nests made by mice are without structure and often have a musky smell to them. The browse marks on the shells of nuts left by small mammals can be used to identify the animal that ate them. Nuts gnawed on by dormice have an almost perfect circular hole with the inner edge carved out parallel to the edge of the hole. The outermost layer of the nut may have perpendicular gnaw marks. Large animals, like squirrels, can just crack open nuts leaving untidy sharp edges. The yellow-necked mouse, wood mouse, and voles leave gnaw marks that are perpendicular to the hole leaving a milled edge. Who Else is Living in Here? Inhabitants of dormouse boxes are not exclusively dormice. It is not unusual to find a yellow-necked mouse, wood mouse, bird, bat or selection of invertebrates. 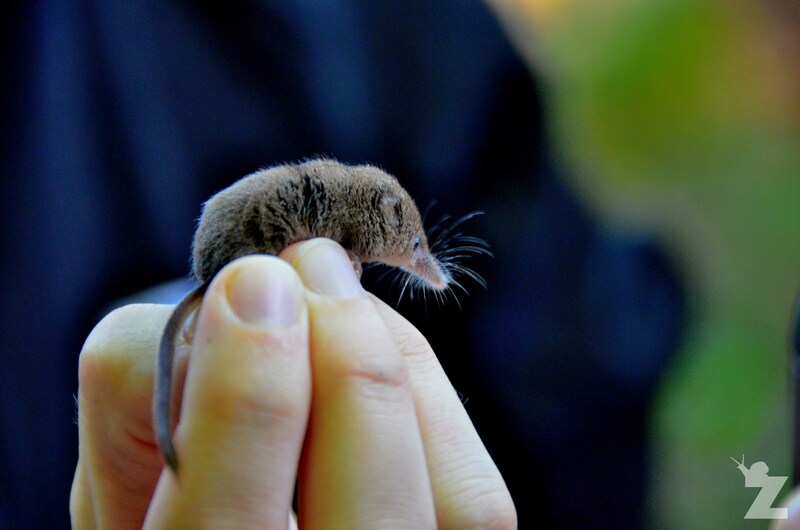 Some of our most recent non-dormouse residents included this little pygmy shrew and a wood mouse. Check out the ‘References & Further Reading’ section below, or ask us a question in the comments! They look as cute as the dormice in my picture-book when I was a little kid! Lovely blog-post! They really are ridiculously adorable, aren’t they?! 😊 Which picture book did you used have? Absolutely! Unfortunately I have no idea of the book title. It was a hand-me-down book and quite old even when I had it! Very interesting blog. The Dormouse is a mammal I’m hoping to see one day. Unfortunately there aren’t any or many Dormice in Oxfordshire. Thank you, Alex! I didn’t realise that there weren’t many dormice in Oxfordshire. Do you know why that is? I’d be interested to know how you microchip dormice, it would be very useful to start chipping our local population. Hi Batnovice, thanks for reading and commenting. I hope you enjoyed the post. What a good question. 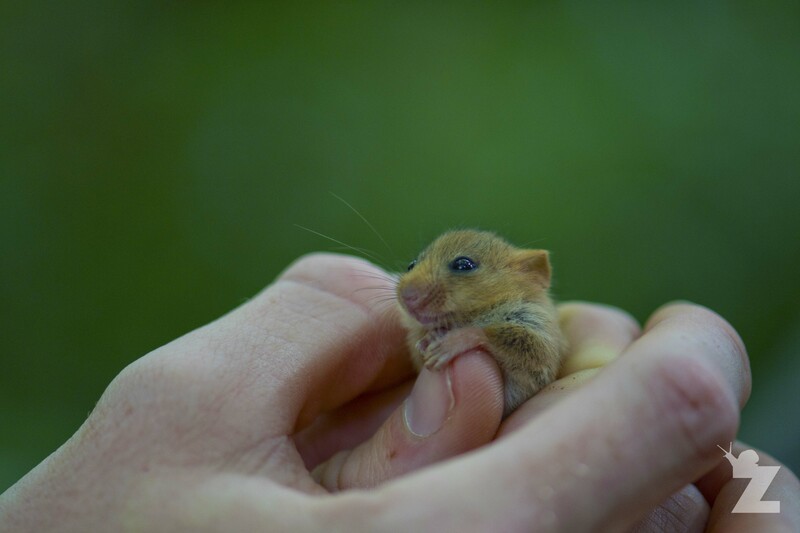 We understand you need a level 1 licence to handle Dormice and a level 2 to clip their fur for identification purposes, but require a personal licence for anything that is not covered by the level 1 & 2. We do not carry out the microchipping ourselves, so have contacted those that do and will await their response. Stay tuned.